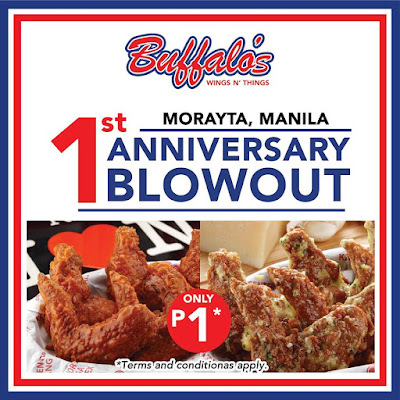 Check out Buffalo Wings N Things SM MOA and Morayta Anniversary Promo today, October 10, 2017! 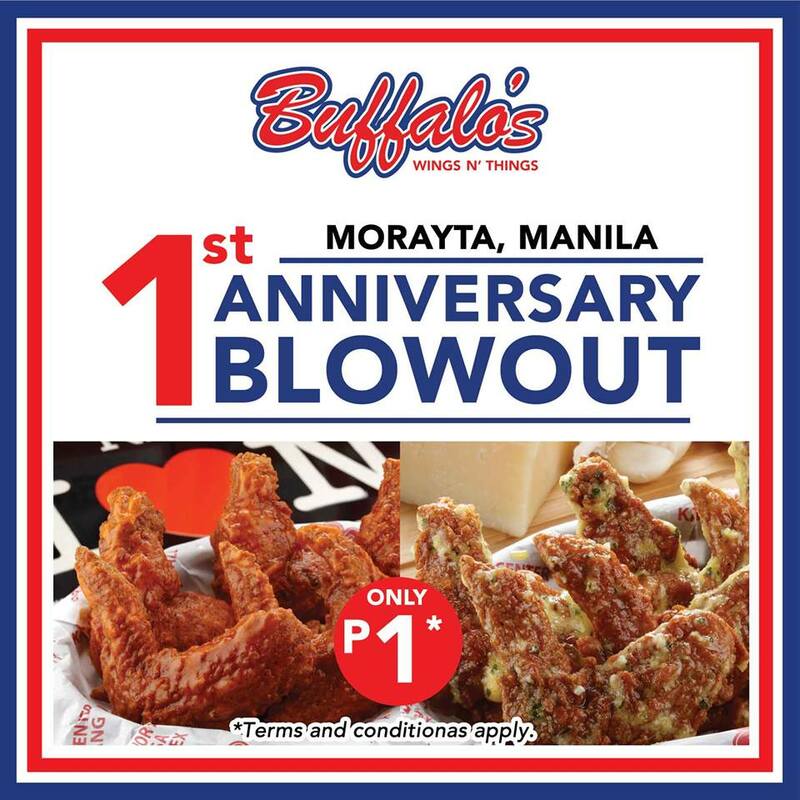 Avail 1 Half Pound Champion Buffalo Wings to get another Half Pound for only P1.00* for Morayata, Manila and P3.00* for SM Mall of Asia. 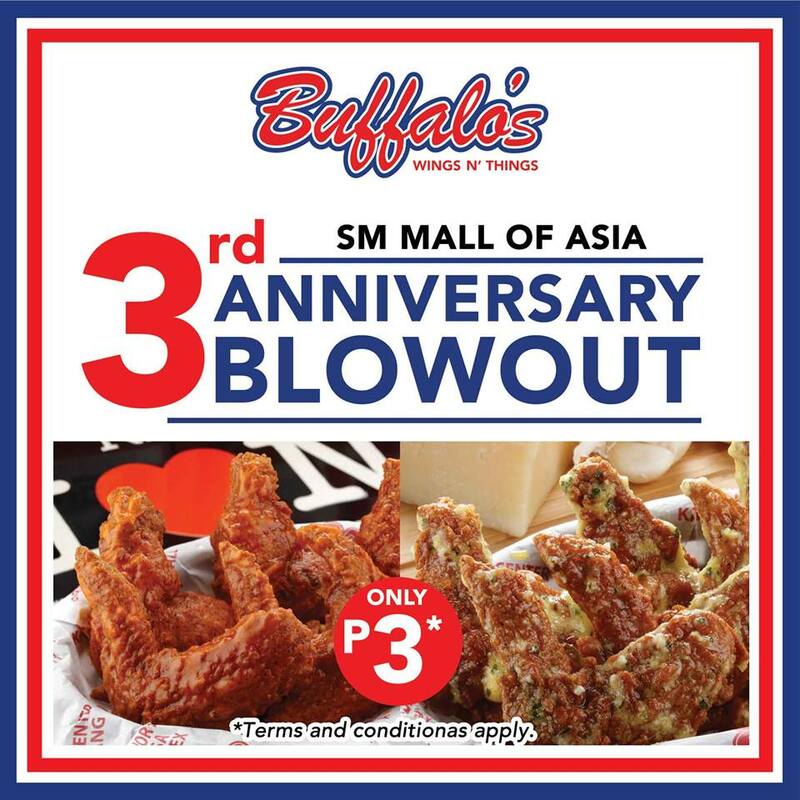 • Valid for dine-in at BWNT SM MOA and Morayta, Manila only.